! I love eclairs ! 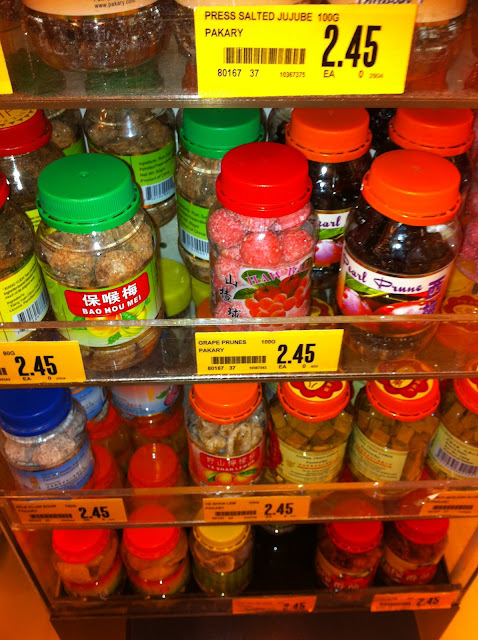 : Singapore Series: Die, die, must try! Back at the beginning of November we had a short holiday and decided to explore Far East with kids. I've never been to that part of the world and was really looking forward to explore Singapore. Needless to say, we all fell in love. To me, any trip should be treated not only as a sightseeing outing but as a culinary adventure as well. Singapore provides just that. We didn't go to any fancy restaurants, but frequented street food stalls instead - they are called Hawker Centers because in olden times food vendors use to hustle or hawk you to try their offerings. Nowadays they do not hawk anyone, but instead operate in sort of covered market facilities under strict municipal supervision. 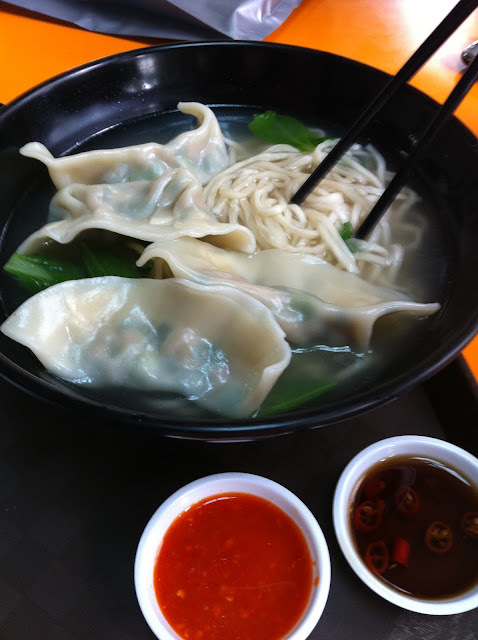 3 major cultures and cuisines inhabit Singapore - Chinese, Malay and Indian, resulting in mouthwatering gastronomical paradise. This is where the soup, dumplings and #19 were made! 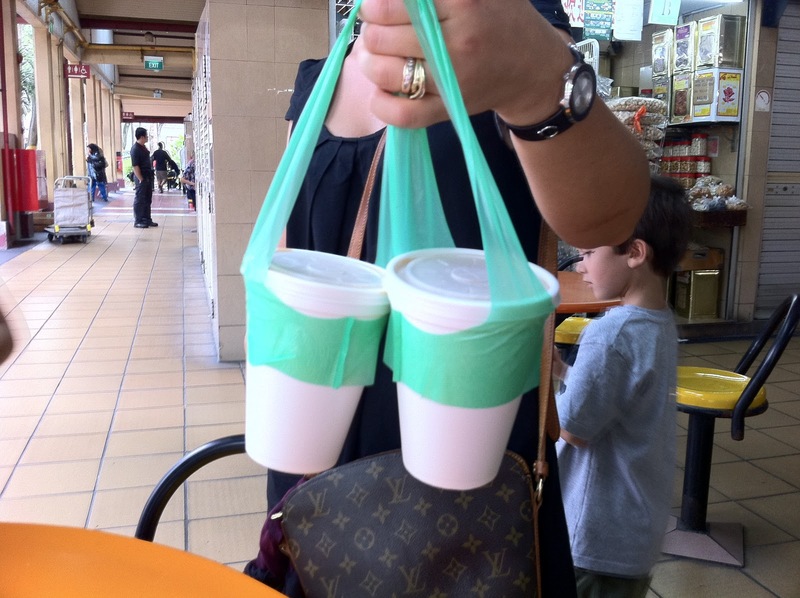 If you want your Teh Tarik to go, you pay a little extra and get this ingenious contraption. No spills. 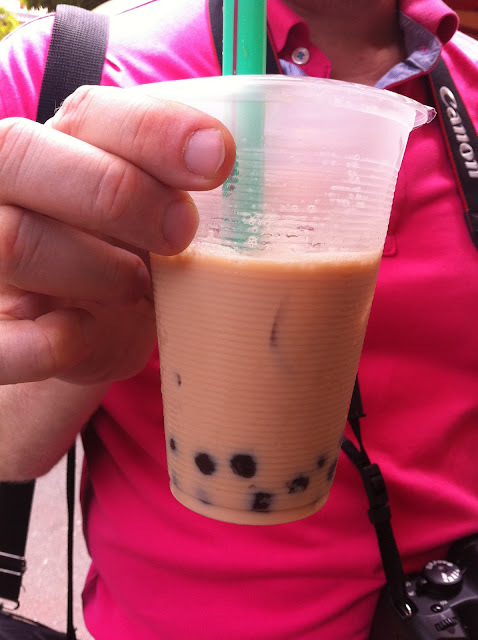 Chocolate Tapioca (hence "pearl") on the bottom of cold milk tea. Refreshing. Press Salted Jujube? Grape Prunes? Everything looks so so delicious!